This is the continuation of a two-part series. 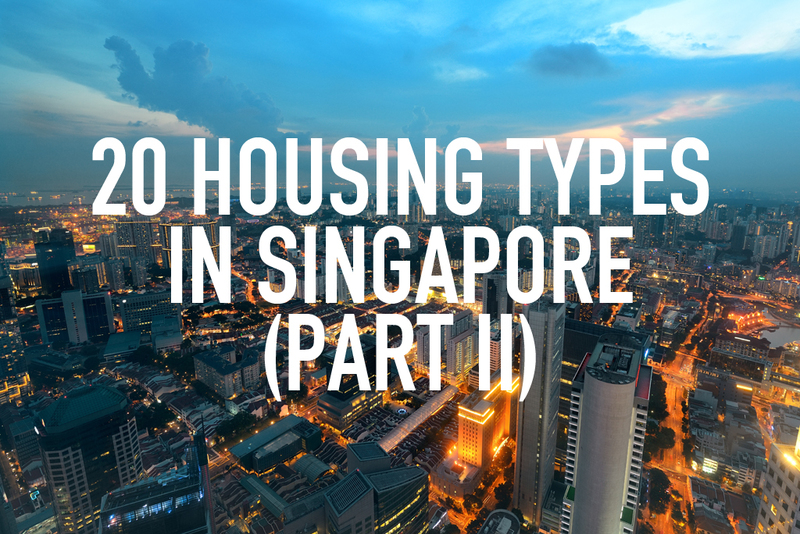 If you have not read the Part I of this series, which we talked about Singapore’s public and hybrid housing types such as HDB flats, ECs, DBSS flats and HUDC flats, you can find out more about them here. 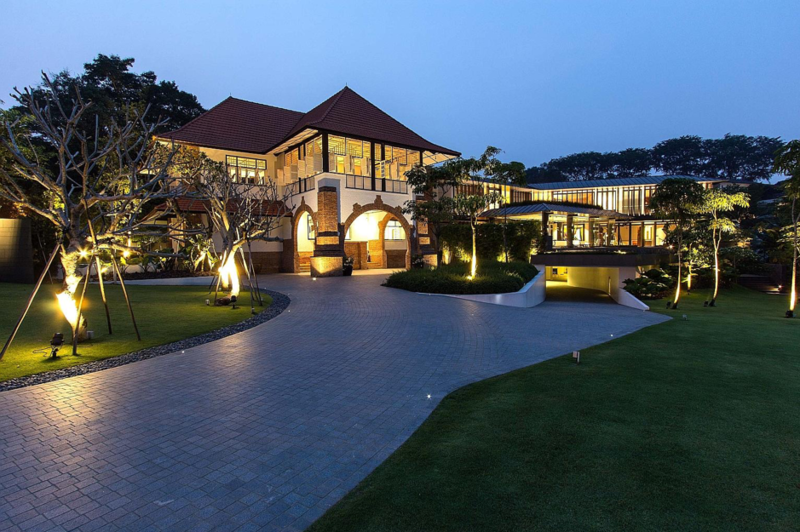 In this segment, we will be focusing on the types of private residential properties in Singapore, which include both landed and non-landed. Generally, private residential properties can be divided into two main categories: non-landed and landed property. Private housing can be freehold, 99-year leasehold or 999-year leasehold. As opposed to HDB dwellers, residents of non-landed properties get to enjoy community living with shared facilities such as a swimming pool, and such properties can be owned by foreigners — instead of being restricted to just citizens. Landed properties, however, have some restrictions on foreign ownership whereby foreigners are not allowed to own or purchase, except those in Sentosa Cove. Condominiums are private housing developments guarded by security and equipped with a range of shared facilities, which may include but not limited to tennis court, squash court, gym, function rooms, BBQ pits, swimming pool, etc. The minimum plot size for such developments is 4,000 sqm; they can come in the form of studio units, penthouse units, individual houses or multiple-room units. As with all high-rise buildings, the higher floor a unit is at, the higher price it will command. This is because higher units offer better view, and practically, it will also have less noise, more wind, better air, etc. Apartments are similar to condominiums but they may or may not come with shared facilities and lifts. In addition, the minimum plot size for apartments is 600 – 800 sqm, much smaller than that of condominiums. Private apartments are more expensive than HDB flats, but they are more affordable as compared to private condominiums because private apartments usually have less generous recreational facilities. Walk-ups refer to a condominium or apartment that does not have a lift or elevator. Being low-built, it is very convenient to reach one’s unit as residents do not have to climb the stairs extensively. In this case, the lower the floor, the higher the value of the unit due to the greater accessibility it offers. Landed properties are very costly and require high maintenance. Their prices vary depending on many factors such as the plot size, location, land title, etc. Despite their hefty prices, they are often everyone’s dream house as landed properties are generally unrivalled in terms of privacy, spacious living quarters, personalised abode, massive gardens, unrestricted developments in your own land, and even pools. Terrace houses, also called linked house or row house, are usually built together with at least 3 units joined by a common wall. While joined, each terrace house is a property in its own and has its own walls and roof. The minimum width required is 6m, or 8m for corner terraces — which are the first and last units in a row of terrace houses joined by only 1 common wall. Corner terraces usually cost more since they are more spacious in comparison with intermediate units. For a property to be referred to as semi-detached (aka Semi-Ds or Duplex), it has to be sharing a common wall with its adjacent unit, and with a minimum plot size of 200 sqm. They are pairs of properties separated by a wall partition, each with identical measurement and layout. Some examples are semi-detached bungalow houses and semi-detached terrace houses (also known as a corner terrace). Detached houses or bungalows do not share common wall with another property; they are one of the larger estates amongst landed properties. Due to the fact that no other estate is in some way connected to a bungalow, such a freestanding detached house will offer utmost privacy and exclusivity for homeowners. With a minimum plot size of 400sqm, bungalows can be built as single storey, double storey or even higher. Note that the maximum site coverage for bungalows is 40%, while 2-storey mixed landed and 2-storey semi-detached housing can be up to 45%. A GCB is a freestanding house within a plot of land, and is definitely not sharing a common wall with any other landed house. Its minimum plot size is 1,400 sqm, which means that if a standalone property is built on a land parcel larger than 1400 sqm, it is considered as a GCB. Furthermore, GCBs are located in prime locations and must be in one of the 39 GCB Areas (GCBA) designated by the Urban Redevelopment Authority (URA). GCBs can have up to 2-storeys, excluding the basement. However, the maximum site coverage for GCBs is 35% i.e. a GCB must not take up more than 35% of the plot size. In land-scarce Singapore, there are only about 1,000 known GCBs. 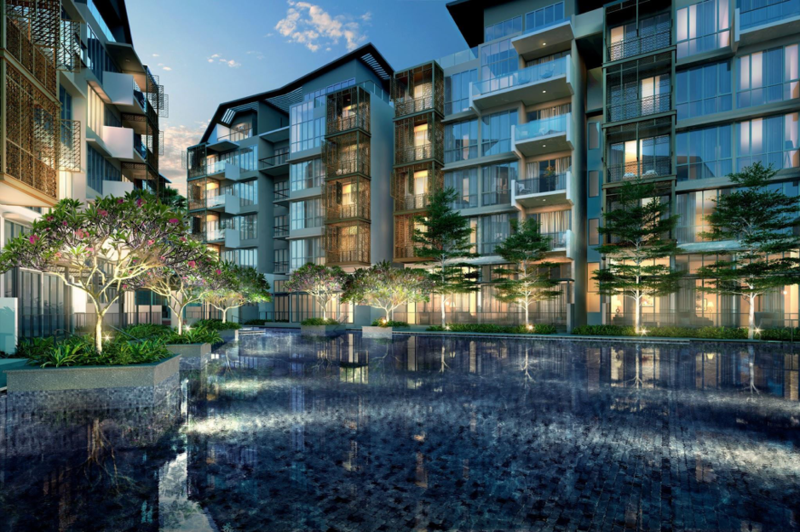 Coupled with the large parcels of land and amenities such as car parks, gardens, swimming pools, etc, this type of housing is very desirable and highly sought after by the affluent individuals in Singapore. 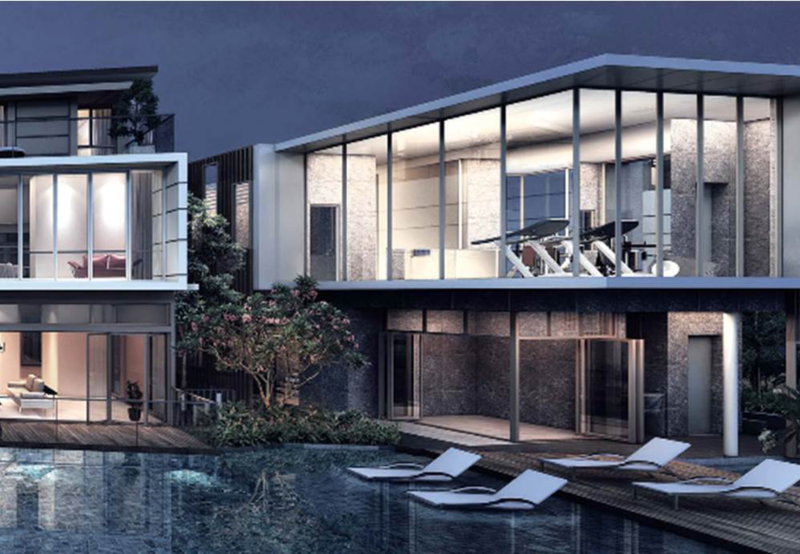 Designed to incorporate the convenience of condominium facilities such as swimming pools, gyms, etc into the privacy and spaciousness of landed properties, cluster houses are rare but definitely on the rise in Singapore. 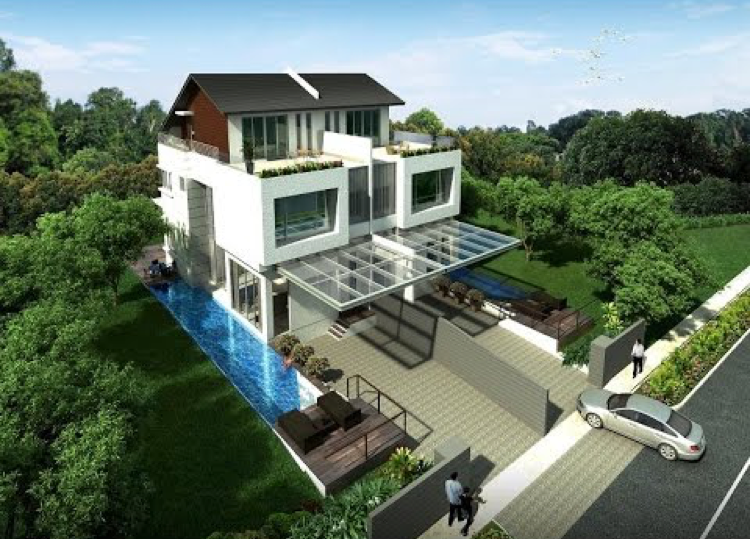 What’s more, they can be a mixture of terrace, bungalows, or semi-detached. Shophouses are rows of low rise buildings with narrow frontages but deep rears. It is a special type of terrace house, which is typically two or three stories high. In the past, shophouses were a hybrid of a commercial shop at the ground level and residential living on the second level. Today, most shophouses have been refurbished and transformed into homes and offices. With distinctive layout and historical significance, shophouses are popular among those who have a keen artistic eye. This type of property is rare in the open market and usually cannot be found on the ads. 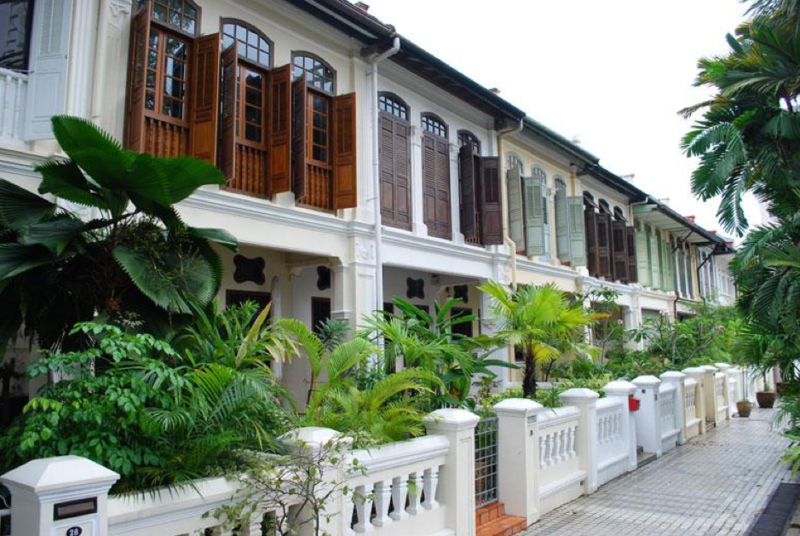 Protected by the Singapore law, conservation houses often have a unique mix of exquisite architecture, history and culture, which are conserved to its fullest state with its traditional facade maintained. From basic public housing meant for senior citizens, quality yet affordable HDB flats for families, to the most desired semi-Ds, up to the luxurious GCBs — have you decided which one to purchase for your first home, to invest or upgrade your current property? 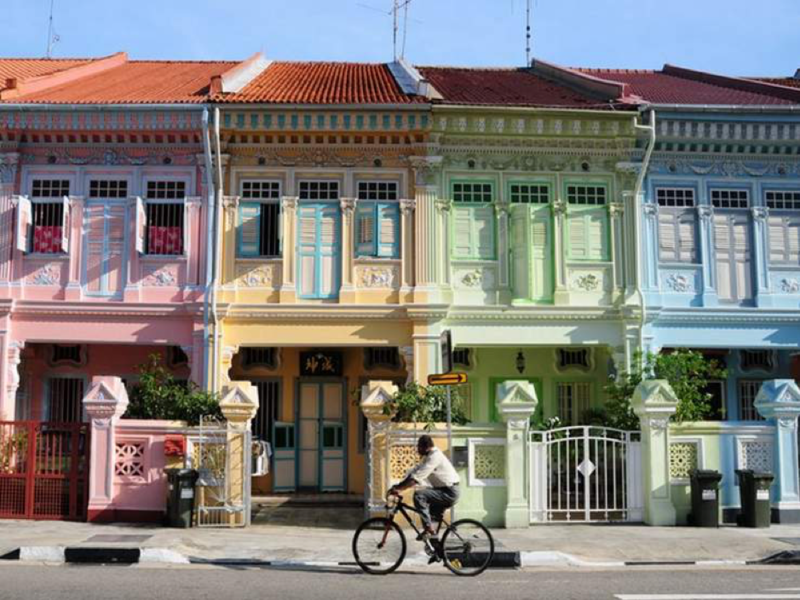 20 housing types in Singapore — Do you know them all? (Part I) Why the craze over en bloc sales?